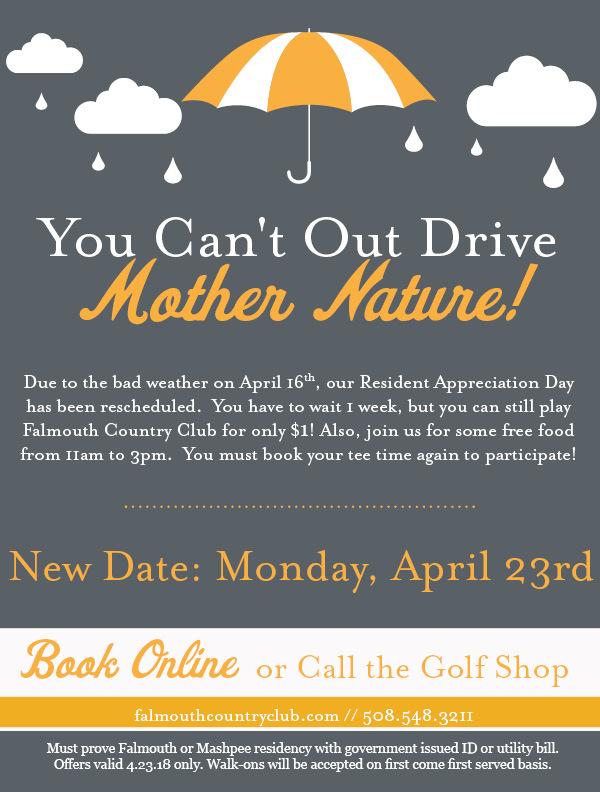 Resident Appreciation Day Has Been Postponed Due to Weather! Falmouth Resident Appreciation Day has been postponed due to bad weather. The new date is Monday, April 23rd. Click below to book your tee-time today! Resident Green Fees are only $1 and there is free food from 11am - 3pm. Must prove residency of Falmouth or Mashpee. Click Here to Book Your Tee Time Today! !